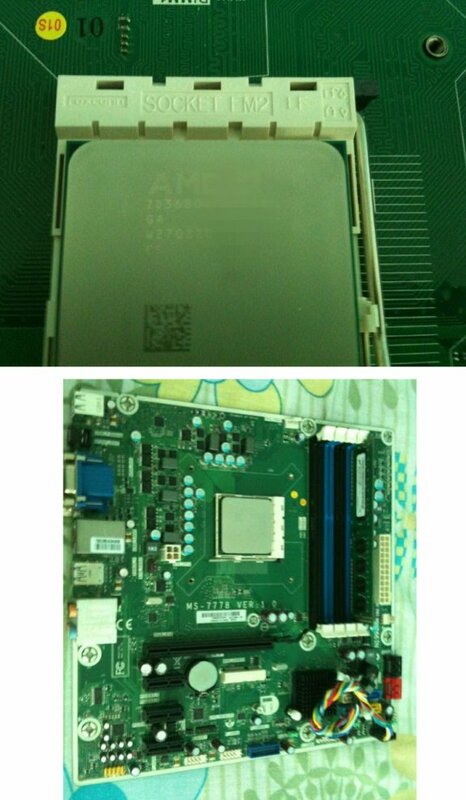 The Tech Report came across two photos of a Socket FM2 desktop motherboard for AMD's Trinity over at VR Zone. The board is actually a prototype, apparently from MSI, and the size and shape suggests a DTX form factor. Around the socket are four DDR3 DIMM slots, a four-pin CPU power connector, a PCI Express x16 slot, and three PCIe x1 slots. I can see four SATA ports hiding under some cables, too, and a VGA output in the port cluster.